Solid carbide planer blades use for the Festool Planer, it is specially that each type of knife is ONLY compatible with it's corresponding head, add character to your work by simply replacing the standard planer head with one of three rustic heads. Self-aligning blades make for quick and easy blade changes - loosen 3 screws, replace the blade, re-tighten screws and you're done -- So simple. 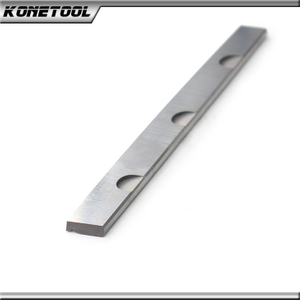 Kone Carbide Tool Co., Ltd. Copyright  2017 Kone Carbide Tool Co., Ltd. All rights reserved.